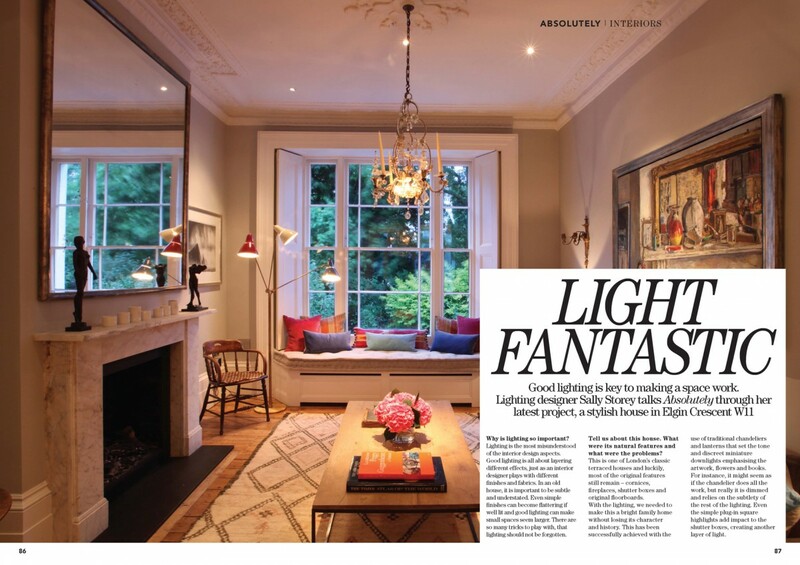 This inspirational residential lighting scheme was featured in April’s issue of Absolutely Notting Hill. Designed by Design Director Sally Storey, it shows how clever use of lighting can transform a house at night. This house is one of London’s classic terraced houses and luckily most of the original features still remain including cornices, fireplaces, shutter boxes and original floor boards. With the lighting, Sally has made this a bright family home without losing its character and history. The success of this residential lighting scheme is achieved with the use of traditional chandeliers and lanterns that set the tone. Discreet Polespring LED downlights emphasise the artwork, flowers and books. Click here to see further images and tips from Sally on how to design the perfect residential lighting for your home. For further inspiration with residential lighting, do visit our Projects section.